It’s Tuesday, which means it’s time for more fun facts! One of the jobs of our editors is to answer questions regarding your posts or our policies. I’ll be honest, we aren’t fans of reading through our policies either. They’re long and pretty dry, as policies often are. We also noticed that many of the questions you, our readers and submitters, have are very similar. In the spirit of our funddrive, and the theme of revitalization, we’ve created a new FAQ to make it much easier for you to find the information you’re looking for! It’s one of the many features we’re working on adding to our new website. Speaking of which, watch for next week for more information and fun facts on our new, revitalized website! It’s Tuesday again, which means it’s time for our second fun fact! Have you ever wanted an excuse to visit somewhere but can’t justify it because academic life is hard? Conferences are the perfect excuse! Using LINGUIST List’s geoling, you can check out what conferences are nearby your dream travel destination and plan accordingly. Geoling also lists jobs and summer schools, so if you’re looking for a place to visit, or just want to see what’s out there, take a look! A brand new feature we just added to geoling, thanks to our very own intern Julian Dietrich, is the ability to download contact cards, called vCards, from the huge selection of contacts available through us. By selecting contacts on the menu and then clicking on one of the pins, you can find the download vCard button on the bottom of the short description. This will allow you to automatically add that information to your list of contacts. And yes, it works on both Android and iPhone. We hope you enjoy the new feature! And there are more coming soon. Talk to you next week for our next fun fact! In other words, the Babel fish from The Hitchhiker’s Guide to the Galaxy translates the subconscious of the speaker into language the listener understands. It’s just one example of a universal translator in science fiction, where they’re often used by writers to get around the languages and dialect part of world building, but it’s personally one of my favorites. Unlike a mysterious box, device, or computer program, such as those used in Star Trek or Men in Black, which translates from speech to speech, the Babel fish doesn’t try to be realistic by today’s standards and thereby avoids many of the problems that make real time translators so difficult, if not impossible. It didn’t take long after computers came into existence that researchers began trying to use them for machine translation. “This will be easy!”, they thought, conceptualizing simple word to word translation systems, and not realizing the maze of a problem they were getting themselves into. We have made a lot of progress in the decades since then, and some machine translators, such as google’s, can produce some passable translations between certain languages. (To the students reading this, they still won’t trick your language teacher, so don’t try.) Even so, there is a long way to go between where we are and universal translators, especially real time ones. Besides the typical major problems in MT such as idioms, word order, sparsity of data, and dealing with morphology in general, real time translators will have to process information they don’t have yet. Differences in sentence structure and word order between languages mean that a delay in speech to speech translation is inevitable, which makes realistic translators in movies/tv feel a bit too clunky. This is why I’m such a fan of the Babel fish, and the Tardis’ translation matrix from Doctor Who for that matter, which also uses a type of telepathic field. They get around a lot of the issues we run into in MT simply by taking advantage of worldbuilding. Does it take some suspension of disbelief to accept a telepathic fish you stick in your ear which excretes translated speech? Sure, but it fits right in with the Hitchhiker’s Guide to the Galaxy’s universe and style, and instead of being just close enough to the truth to be irritating, it’s just crazy enough to think, hey, that just might work! Thanks for reading! The Linguist List depends on donations from readers like you to continue providing resources and updates in the world of linguistics as well as to help fund the graduate students who run it. Please consider donating to our Fund Drive so that we can continue posting content for you. There are a couple linguistic things I want to talk about in Firefly. First up is the use of Mandarin Chinese in the show. Over the course of the series we often see the characters using Chinese to swear or insult others. While these are the most common uses, others do come up, such as pet names or terms of endearment. In the context of this airing on TV, it’s pretty obvious that Joss Whedon, the creator of the show, used this as a way to get around censorship. Other nonsense words, such as gorram, were also added for the same purpose. Within the universe, however, there is a bit more to dig into. Firefly establishes that the two superpowers which sent colony ships to the new star system from “Earth that was” were the US and China. In addition, most people are bilingual in English and Chinese as a consequence, though everyone still use English the vast majority of the time on the planets visited in the show. What I find really interesting about this setting is how Whedon actually pays some attention to the impacts culture and history have on language. It is, of course, too much to expect that a show emulates 500 years of language change in its speech, especially considering that it would be almost unintelligible by that point anyway. But I appreciate that Firefly does more than just have a bunch of sci-fi sounding tool names and phrases. The inclusion of small Chinese phrases, whether insults, swears, or pet names, indicates thought given to the linguistic aspect of the universe beyond giving another species their own language. The other major aspect of the language in Firefly I want to talk about is the dialectical difference between Core world speakers and border planet and Rim speakers. People from the Core world tend to speak very grammatically and formally. Dr. Simon Tam, Inara, and Shepherd Book are good examples of this, all being raised on Core worlds. Inara, being born on a primarily Chinese planet, would be a second language speaker of English, but taught by other Core world speakers. Speakers from the Rim and the border planets, however, use a stigmatized dialect similar to that of stereotypical American Frontier speech. The entire culture of the frontier worlds is based on the wild west, and this less formal dialect is where Chinese and slang terms for spaceflight invented for the show tend to be used. Some notable features of this dialect are -ly dropping, g dropping, double negatives, and ain’t. Several examples taken from the show can be found here. While the costuming and set design make a very clear distinction between the richer Core worlds and the poorer border planets, the differences in language add a lot of authenticity to the universe. 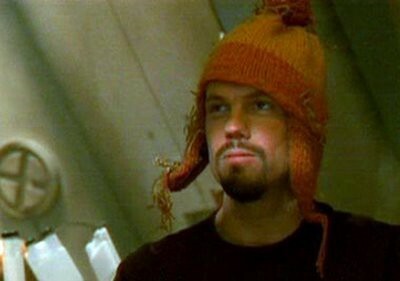 Dialectical differences are used all the time to make judgments about people, whether consciously or unconsciously, and the addition of the elaborate dialects, phrases, and jargon to Firefly enabled us to relate to and understand the characters much better. It was, in my opinion, an absolutely crucial element of world building. Were everyone speaking the same dialect, the characters would have felt much more flat and uninteresting. Anecdotally, Firefly serves as a great example of how important linguistics is to the development of a show which cannot be left out, especially in sci-fi or fantasy worlds. Thanks for listening to my ramblings on one of my favorite shows. If you haven’t seen it, I highly recommend it, despite it having been cut far too short by Fox. The LINGUIST List staff is passionate about investigating the ways that linguistics interacts with human culture and media. We rely on funding from readers like you to continue hosting a wide range of academic tools and resources useful to linguists like you. Please consider donating to our Fund Drive to support not only the continuation of these resources, but also the students who maintain them, and the mission of the global linguistics community.